Mt. 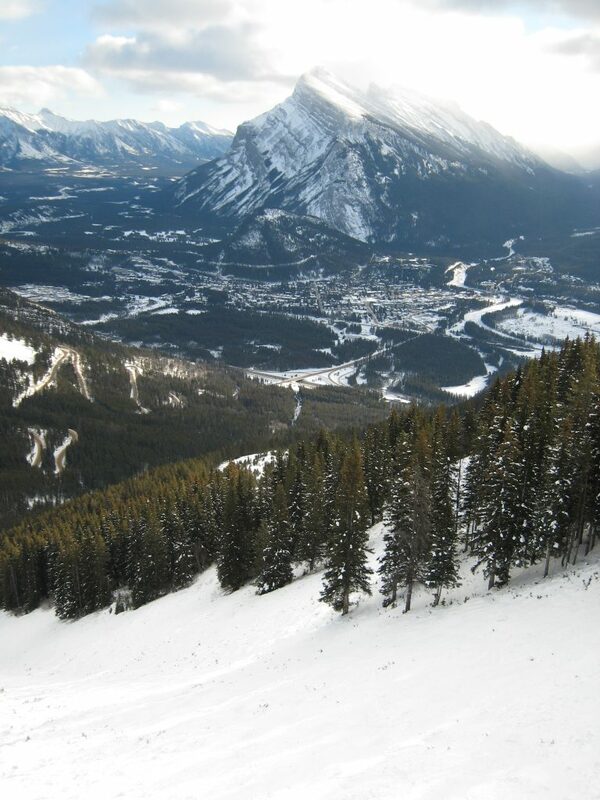 Norquay is right outside of Banff in Alberta, Canada. It is mostly a locals mountain, but packs a surprising punch with quite steep terrain and only 2% rated green. It would not have made the list due to being under the screening criteria at only 190 acres and 120″ of snowfall, but the fact is that it’s quite good and provides an experience that puts it on the list. We skied this place long ago and due to the low snowfall and small size being under the criteria to make the list, we did not include it. However, when we were picking resorts based on our criteria, the resort at the bottom would have been Buttermilk in Colorado. We were in Aspen last year and had the choice to ski there, but other than one lift with a few runs on it and a large beginner area, it’s been turned into a terrain park. 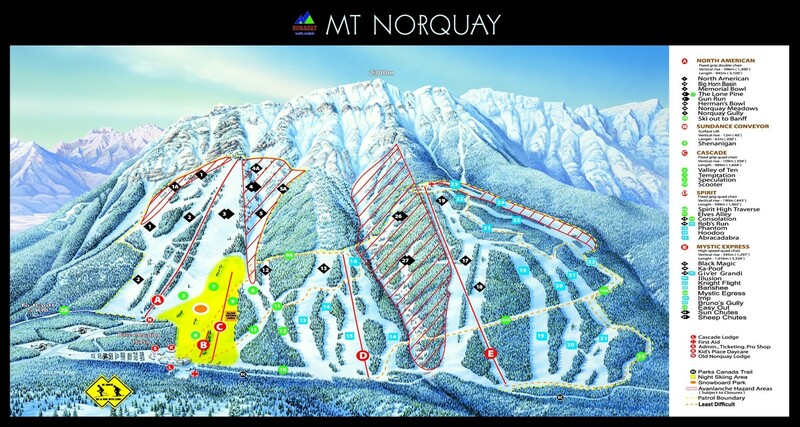 I also spoke with someone who had skied both, and he said drop Buttermilk and include Norquay for sure, so here it is. 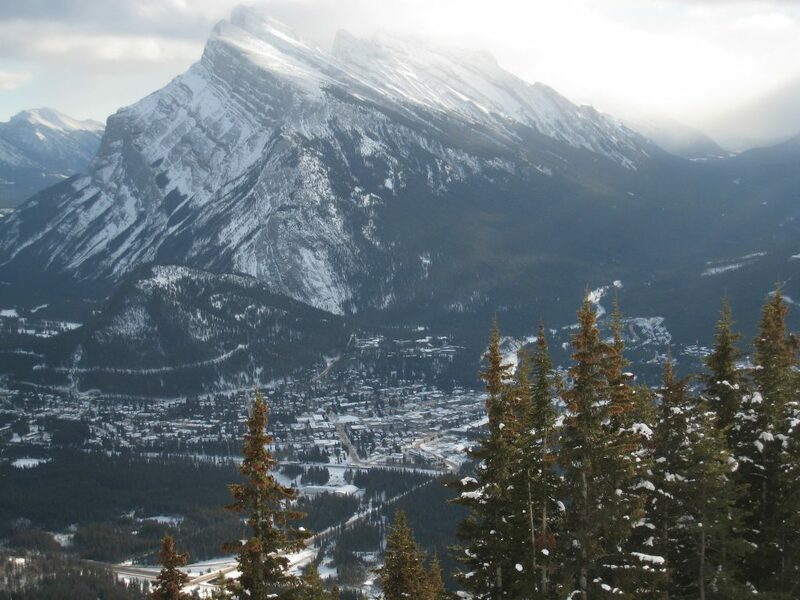 The drive up to the ski area from Banff is short and easy. The parking area is large and there were some elk hanging out there, which was something we haven’t seen in a parking lot before. It’s really easy getting tickets and getting to the lift which is something we always like. This place is small, but there was just enough to keep us busy for the day. They groom just about everything they can, so even with only 28 runs there are enough groomers. We have seen many much larger resorts with fewer groomed runs where you run out of terrain when off-piste is not good, so it’s really comparable with many larger resorts in that respect. With 85% snowmaking coverage, the snow depth and quality was excellent even though it was very early season. From left to right, the Mystic Express is the main course for most advanced skiers. Long blue and black groomers and being a high-speed quad makes this a fantastic pod. Spirit is about half the vertical, with all blue runs except for a short black section that was not open due to low snow. 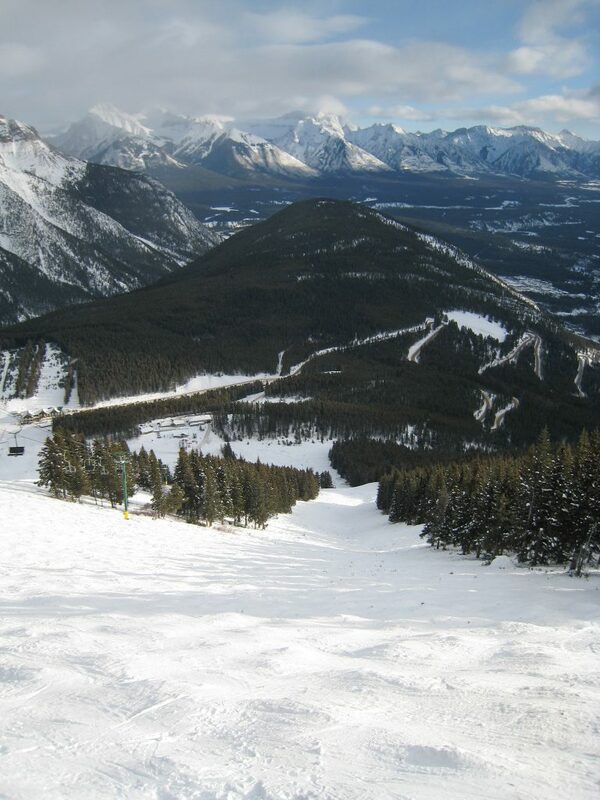 The surprising part of the area is the North American lift, which is an ancient double chair. It’s pretty spooky running straight up the mountain and terminating at a precarious unloading station. This is pretty seriously steep terrain. Everything is black or double-black, although when we were there the moguls were pretty small so it was pretty easy even though it was very steep. Snowmaking is spotty or nonexistent on this chair, so there were some rocks, but it wasn’t too bad and it was a refreshing old-school skiing experience. 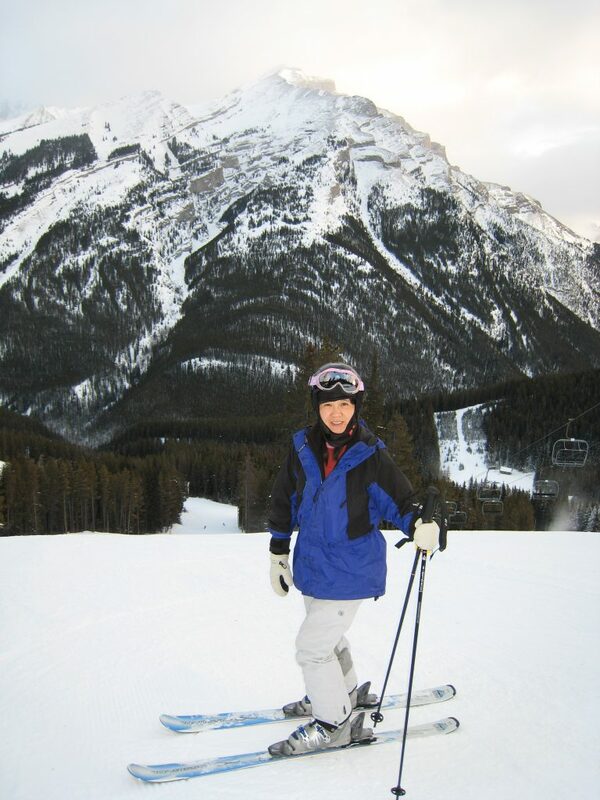 At this time 9 years ago, AiRung couldn’t ski that kind of terrain and I think I was the only person skiing that chair for a couple of runs. Great fun. 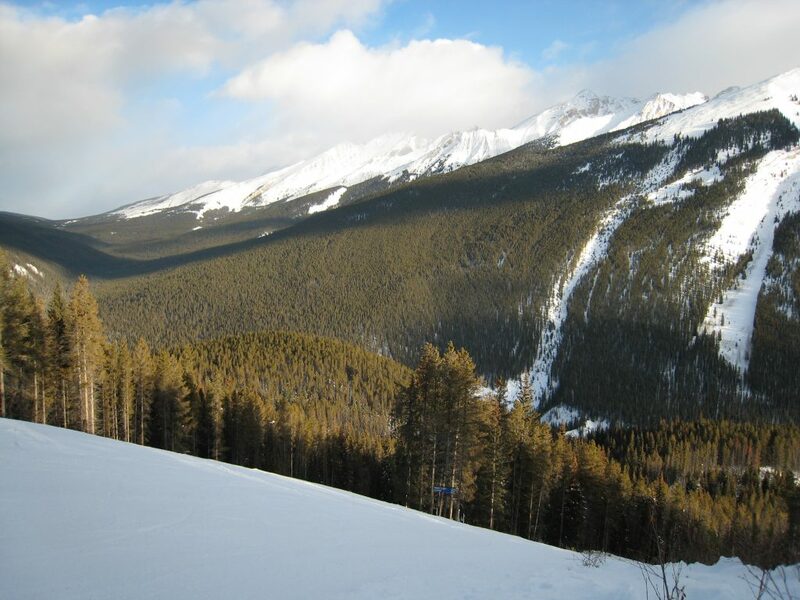 This is the perfect place for a last day of skiing on a trip that also includes Lake Louise and Sunshine Village. 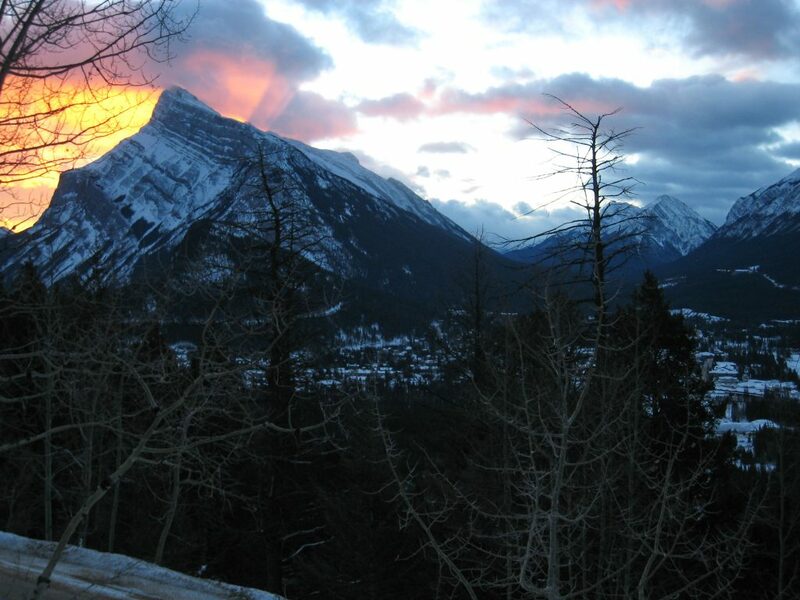 Most people stay in Banff so it makes a quick day or 1/2 day excursion for a take-it-easy day. We give it only 2 stars as more of a relative rating compared to the other resorts on our list due to small size and low snowfall than because of any major flaws, but it really is a worthwhile destination for a fun day of skiing.